Help bring Bibles to Christians by doing what you already do every day! Do you buy groceries? Do you want to support Biblia Global and help get Bibles to Christians? Now there is a way you can support Biblia Global by continuing to do what you and your family are already doing. The best part is, it doesn't cost you a dime beyond what you would already be spending on groceries! You can even continue to use your "rewards" credit card. Yes really! Sign into your account on KingSoopers.com or Kroger.com. 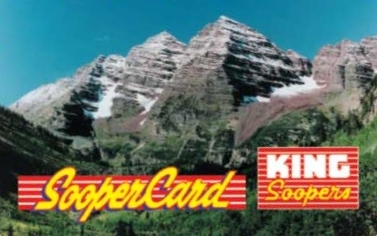 If you don’t have an account, create an account on Kingsoopers.com or Kroger.com and link your loyalty card to your account. If you don’t have a SooperCard or Kroger loyalty card, sign up either in the store or at the above websites. Once you are signed in, click on My Account. To the far left, under My Account, click on Community Rewards. Under “Find and Organization” type Biblia Global or our organization number, VV313. Click enroll. Finally, make sure your home store is set to a Colorado store. It is only possible to earn for Biblia Global at Kroger stores outside of Colorado if your home store is set to a Colorado store. Every time you shop at King Soopers, City Market, or Kroger, swipe your loyalty card and Biblia Global will begin receiving a percentage of every purchase. That's it! Let us know if you have any questions HERE.